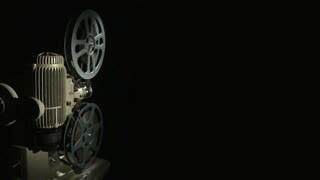 Search Results for "16mm movie projector"
1970s: 16mm film projector is dismounted piece by piece in time-lapse photography. 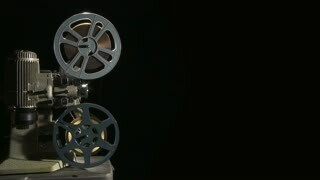 1970s: 16mm film projector runs, pencil points to different parts of the projector. 1970s: A 16mm film projector stands unmounted with its pieces spread around, its mounted in time-lapse photography. Hand holds remote control and pushes button, projector starts to run in background. 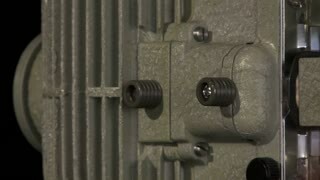 Close-Up of Rotating 16mm Film Reel on Film Projector. Black and White Tone.